These harnesses will allow you to plug your new speakers into the factory connectors present in the speaker openings for your vehicle. Note: Some aftermarket speakers have terminals that are wider than this harness's slide-on connectors. You may need to widen the harness's female slide-on connectors, or use the slide terminals that may be included with the speakers. 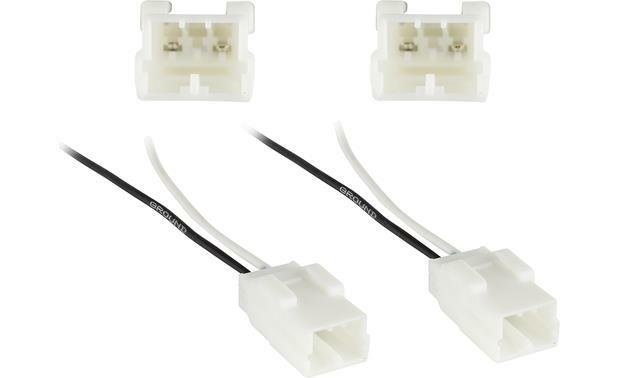 If you need to connect your new speaker's connectors to the harness, soldering is best, and crimping is also very popular — see "Accessories." Easy to use harness. very happy. Does this kit come with one or two? There are two (2) harnesses included. Hope this helps. i have a chrysler sebring 2001 sedan and according to metra the 72-6512 is the one that fits. is that correct? will this actully fit my chrysler sebring 2001 sedan. metra is saying that the 72-6514 is the one i need? Thanks for your question. 72-6514 is correct for the rear deck location. 72-6512 would be for the front door location. You can check to see what fits your vehicle by using our Outfit My Car tool: http://www.crutchfield.com/car/carselector.aspx. Hope that helps. From further research (just to be 100 percent sure) I have seen that for the 2011 Ram 1500 SLT Quad Cab (or extended Cab) that a different harness is required and this one MAY NOT fit my vehicle? Any help in confirming is much appreciated! Will this fit my 2006 Dodge Charger r/t for all interior speakers? I show a different harness for that vehicle in every type of system. It would be the Metra 71-050. You can view it on the website here: http://www.crutchfield.com/p_12071050/Metra-71-050-Speaker-Wiring-Adapters.html?search=12071050&avf=N&skipvs=T. This will work with all speakers with the exception of the tweeters in the dash and the subwoofer, those are wired differently. Hope that helps. 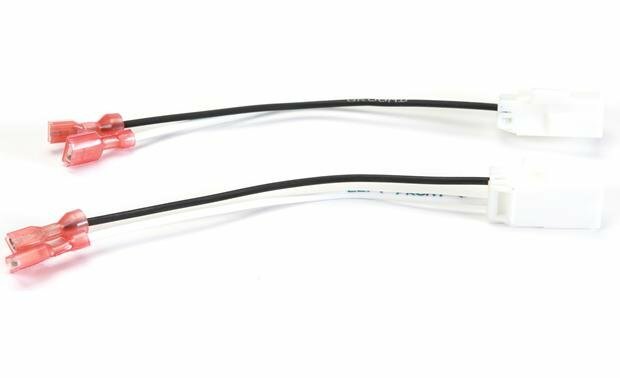 Searches related to the Metra 72-6514 Speaker Wiring Harness For 1999-up Chrysler/Dodge vehicles.